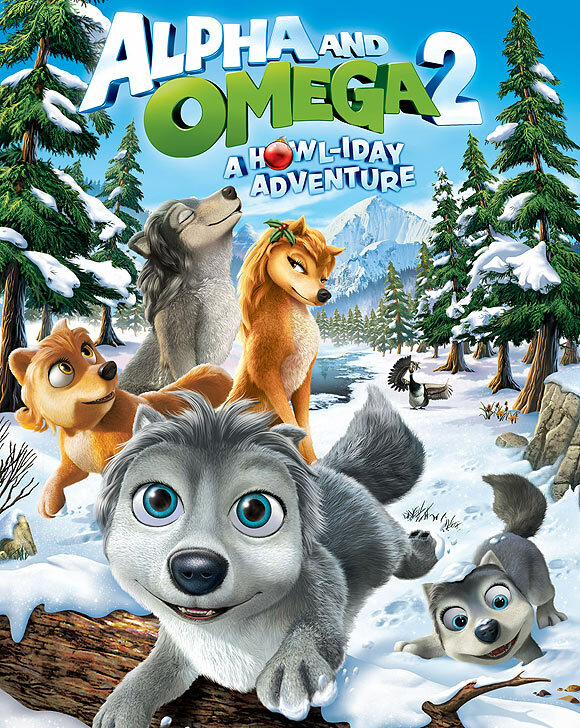 Turns out that the original Alpha and Omega (from 2010) was successful enough to “spawn” a sequel — at least a 44-minute direct-to-video sequel, Alpha and Omega 2: A Howl-iday Adventure. According to Cartoon Brew (never very kind to standard Hollywood fare), the sequel is again directed by Richard Rich. It was animated in India. In this new film, the wolves Humphrey and Kate strive to bring their cubs — Stinky, Claudette, and Runt — a happy season at Christmas time. The preview trailer is up now on YouTube. Look for the DVD from Lionsgate, coming to your local store on October 8th. I have a story on this in the queue to be published. It is somewhat snarky. There are Indian animation studios that can do better CGI than this. Seems like every time a movie sequel is released, the sequel is worse than the original. I haven't watched this yet, but I'm hoping this doesn't hold true here. Now that you mention this, my story has been in the queue to be published for over a month. Is this a normal delay?